Over 400 delegates have gathered in Manchester for the third annual Public Health Research and Science Conference. 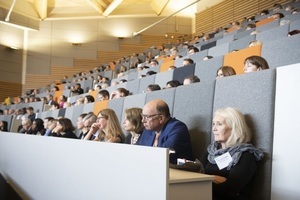 The conference brings together scientific expertise from across the public health community, with the goal of driving innovation in public health research and practice. We also plan to further boost public health training through the NIHR HPRUs and NIHR Incubator in Public Health. I’m delighted to be sharing these opportunities at this year’s PHE conference and hope to inspire researchers to further their professional development in public health.